To continue our series on One Color Palette, Four Ways – Today’s theme is BEACH. 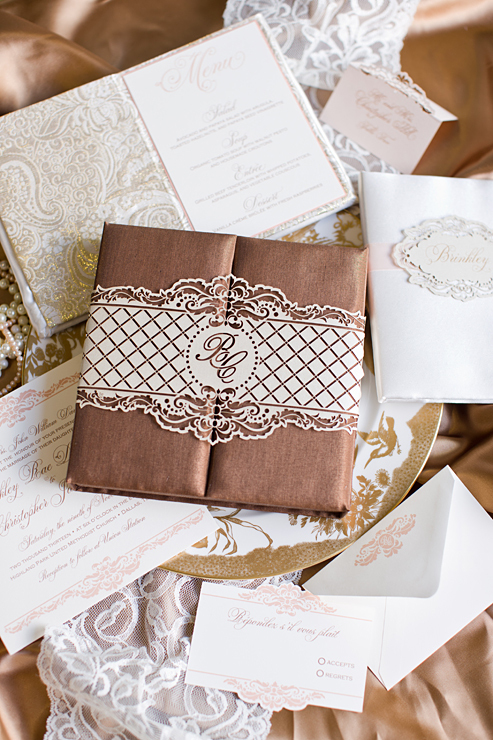 For this invitation suite we wanted to concentrate on texture. 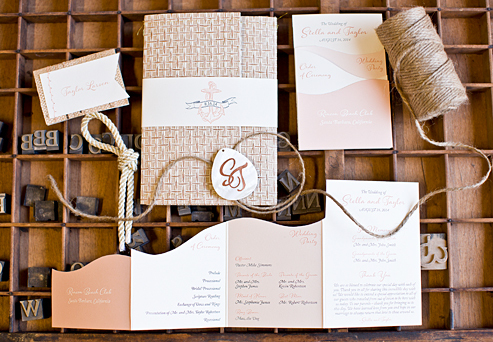 We created a custom grasscloth folder with monogramed belly band to hold all of the invitation pieces. The die cut ceremony program folded into a wave pattern and unfolded to show all of the information. The place cards were hand sewn to tented grasscloth cards. A collaboration with Jordan Payne Events // Photography by Thisbe Grace Photography.